Finding deep-sky objects such as galaxies, star clusters and nebulae can be very difficult and the Telrad finder is a great help to aim your telescope. Deep Sky Reiseatlas is the perfect star atlas to use with Telrad as its maps also show the Telrad reticle. All objects in the deep sky are surrounded by the three rings of the Telrad and, near each object, you will always find one or more stars visible to the naked eye. By aiming the Telrad rings in the same position in respect of the stars you see in the Deep Sky Reiseatlas atlas, you will be able to find objects that you can not observe with the naked eye. 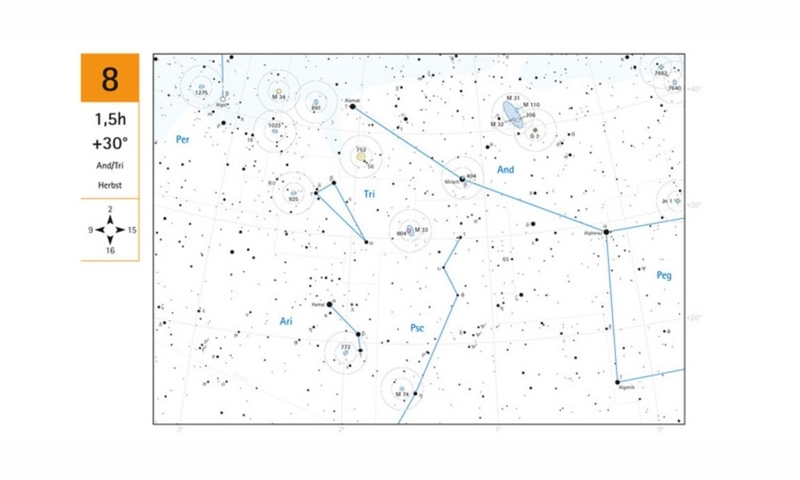 Warning: Deep Sky Reiseatlas is in German but it's easy to understand.